Long Life full of blessings to you. so you may live with the love of the Lord forever. May God protect you when you leave or come home. and with much hope for a better future. 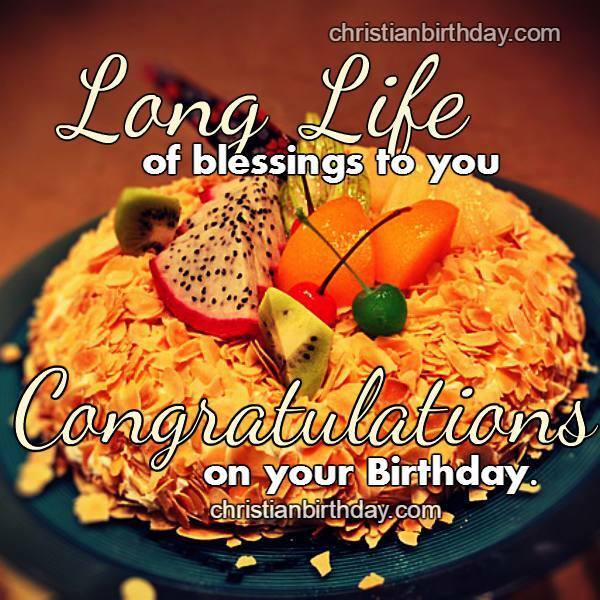 Birthday christian card with nice quotes to share with man or woman, sister, brother by Mery Bracho.